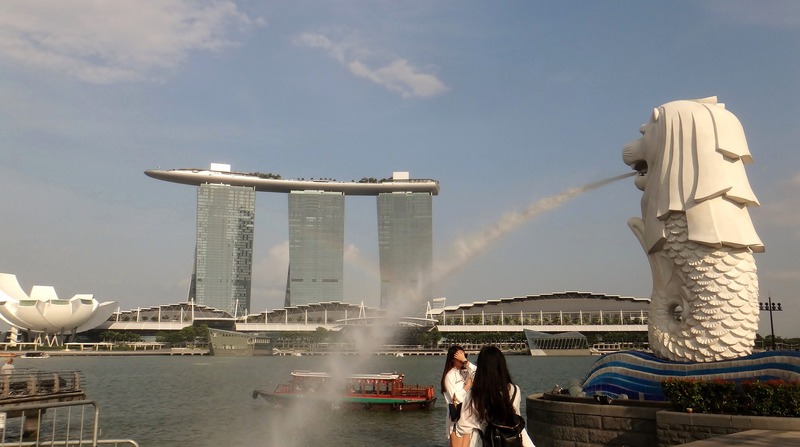 Despite challenging economic conditions, Singapore’s tourism sector showed positive numbers last year. Working in close partnership with industry and community, Singapore Tourism Board aims to shape a dynamic tourism landscape and differentiate Singapore as a vibrant and inspiring destination through the ‘YourSingapore’ brand. Both visitor arrivals and tourism receipts exceeded forecasts to hit historical highs in 2016. While visitor arrivals grew by 7.7 pc to 16.4 million, tourism receipts rose even higher by 13.9 pc to USD 24.8 billion. The strong tourism receipt results came on the back of visitors spending more on food and beverage, shopping and accommodation. For 2016, the top growth markets visitor arrivals in terms of absolute growth were China (+36 pc), Indonesia (+6 pc) and India (+8 pc). The growth was due to more visitor arrivals from Tier I and Tier II cities of China, India and Indonesia, where STB had intensified its marketing efforts. India also overtook Australia to become Singapore’s 4th largest source market for visitor arrivals. “We are looking forward to welcoming more incentive groups and we are working closely with corporate as well as the corporate intermediaries to bring incentive travel groups to Singapore. It has been quite a while since we had a group Bollywood movie where Singapore has been featured. In 2009, ‘De Dana Dan’ was the last movie where there were a lot of Singapore scenes. Last year, there was ‘Dear Zindagi’, which had a few shots of Singapore. We are fortunate that this year ‘Badrinath ki Dulhania’ will feature Singapore quite prominently, which we did in partnership with Silk Air and Dharma Productions,” said GB Srithar, Regional Director, South Asia, Middle East and Africa Singapore Tourism Board. Singapore Tourism Board (STB), along with Malaysian Tourism Board (MTB) and Thailand Authority of Tourism (TAT), the National Tourism Organisations (NTOs) of three ASEAN countries jointly launched the VISIT ASEAN@50 campaign in India to mark 50 years of ASEAN. The Visit ASEAN@50 campaign was launched by Singapore Prime Minister, Lee Hsien Loong, the ASEAN Secretary General, Le Luong Minh and ASEAN tourism ministers at ASEAN Tourism Forum (ATF) in Singapore earlier on January 18. The objectives of the campaign are to raise tourist arrivals to the region to 121 million by end of 2017, up from 108 million in 2015. The campaign will showcase Southeast Asia’s unique culture, architecture and nature in 10 amazing ASEAN countries. This campaign, marking ASEAN’s Golden Jubilee, serves as a crucial platform for ASEAN Member States to collectively work hand-in-hand to advance the ASEAN region as the world’s top tourism destination. STB forecasts tourism receipts to be in the range of USD 25.1-25.8 billion (+1-4 pc) and international visitor arrivals to be in the range of 16.4-16.7 million (+2 pc). Global economic and political uncertainties will probably continue to persist and there will be increasing regional competition for tourism dollars. However, Singapore can benefit from the projected tourism growth in the Asia-Pacific region. STB will continue to work closely with tourism partners to intensify our efforts and sustain quality tourism growth. Singapore’s vibrant tourism landscape was further enhanced with new attractions and lifestyle offerings such as KidZania Singapore, permanent digital art gallery Future World at ArtScience Museum at Marina Bay Sands, COMO Dempsey and the introduction of the Michelin Guide Singapore, as well as rejuvenated tourism offerings such as the Chinatown Heritage Centre and the newly relocated Zouk at Clarke Quay. The Singapore calendar of events also remained vibrant with new events such as Ultra Singapore and the inaugural HSBC World Rugby Sevens Series, together with its strong after-party element, ‘Music After 7′ at Clarke Quay. On the business tourism front, STB supported more than 410 business events held in 2016, a 15 pc year-on-year growth. These events garnered around 343,000 visitor arrivals, and generated approximately USD 611 million in tourism receipts, a 20 pc and 28 pc increase year-on-year respectively. In 2016, the cruise industry saw cruise passenger throughout rise by 16 pc year-on-year to about 1.2 million and welcomed 10 maiden calls. Singapore’s appeal as a cruise destination continued to be recognised with numerous industry accolades, including being ranked the Top Cruise Destination at the Seatrade Cruise Awards and the Top Asian Port of Call at the Cruisers’ Choice Cruise Critic Awards.